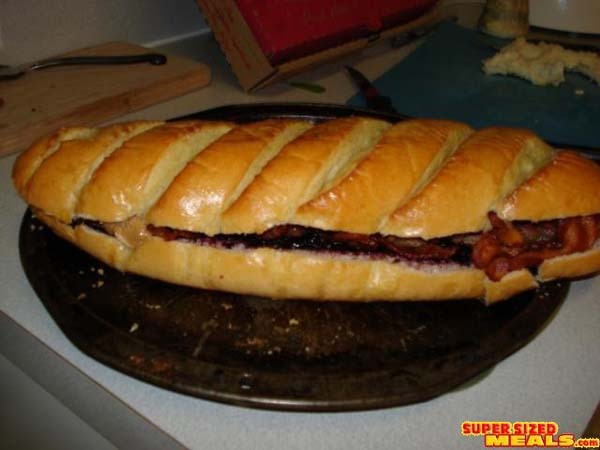 Heard of the Fools Gold Loaf? 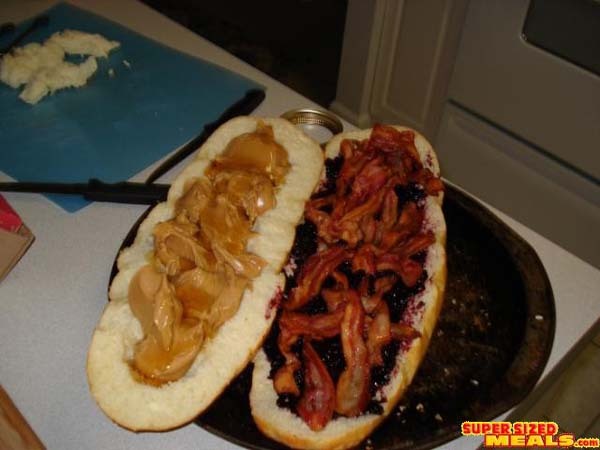 The story goes that the actual sandwich was a loaf of bread, an entire jar of peanut butter, and entire jar of grape jelly, and a pound of bacon. 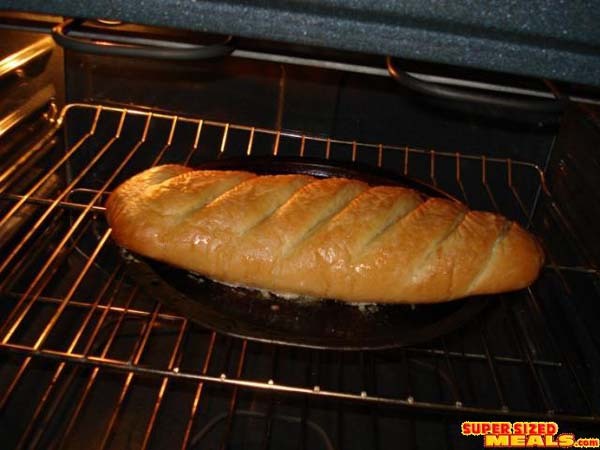 Also, the bread is toasted (Read about another one that was posted here!). Well this guy thought he'd have a crack at creating this heart stopping Elvis favorite. 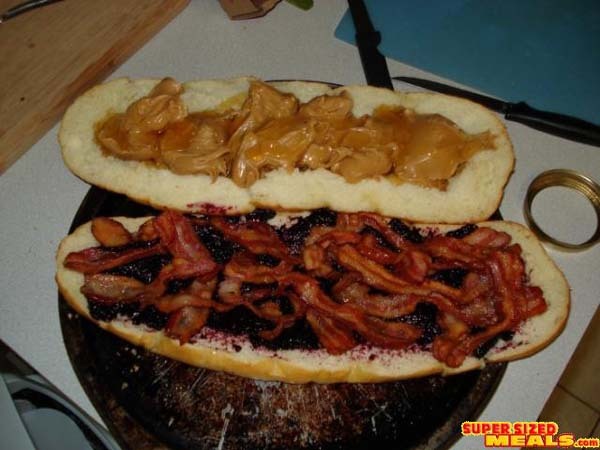 And Elvis could eat one of these things by himself... unbelievable... Have you made a Fools Gold Loaf? We want to hear about it! 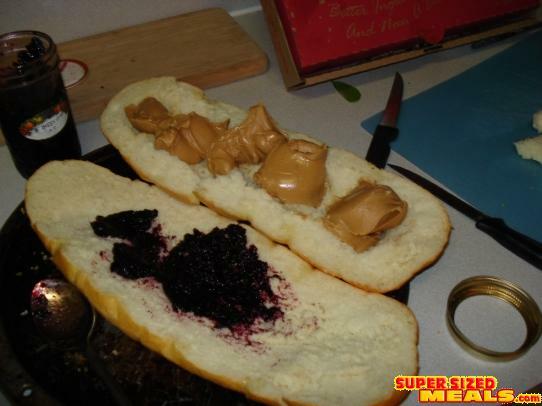 My room mate and I made the Fools Gold Loaf the other night...and it was actually pretty epic despite cutting our life spans in half by eating it. 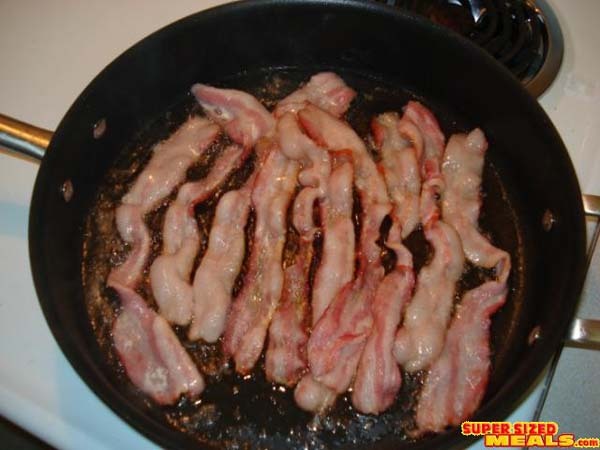 Didn't have a pound of bacon but stayed true to the rest of the recipe.